It has FOREVER ruined me for any other show with it’s amazing epic awesomeness. I’m an 80’s baby all the way and they nailed the whole vibe of my childhood!! Anyhoo what’s this got to do with marketing? Everything. Or I made a thing up so I could talk about Stranger Things, I don’t know, you decide. 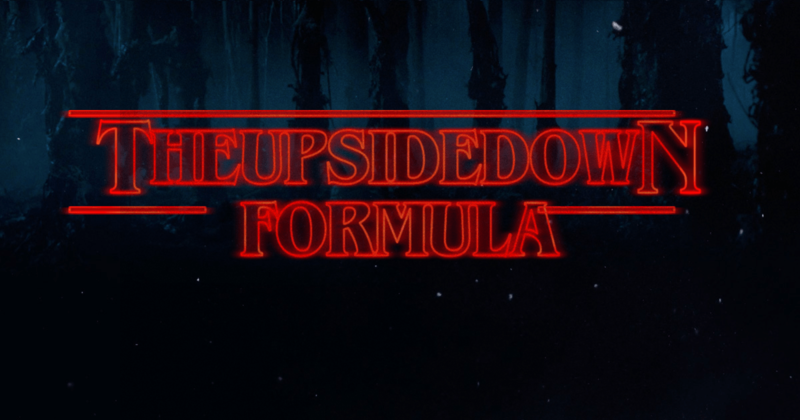 In Stranger Things, there’s this alternate reality called “The Upside Down” where it looks like real life but everything’s covered in cobwebs which inspired the name of my new formula aaaaand that’s really where the similarities end. OK so here’s my formula and if ya do this you’re gonna be so boss above your peers that I know you’ll see a difference in your biz stats! I created this formula by combining two big statistical facts of the online world. Your About page is usually the most visited page on your website (thus it gets the most amount of traffic). The first email you send – the one that has the free thing your new reader has just opted in for – has the highest open rate (thus it has the most eyes on it). Here’s your free thing. Click here to download. I want you to give that first email someone gets when they come into your universe a total makeover. That first email is the primo perfecto time to connect with this total stranger who somehow found you on the big giant world wide web. Billions of people and they stumbled across your little freebie and decided to take a gamble and opt in with their precious email addy. B. this is your best chance to get them to actually read/see/hear what you’ve got going on and why they should care or stick around. Here are some tips or what to include in your first email and there’s a sample below of what one of my autoresponders looks like for the current freebie I’m promoting. And if you want to watch me break it down on video…here you go dear….or just keep reading below. Start off by telling them who you are, include your authoritative intro and a few personal facts about yourself for fun. 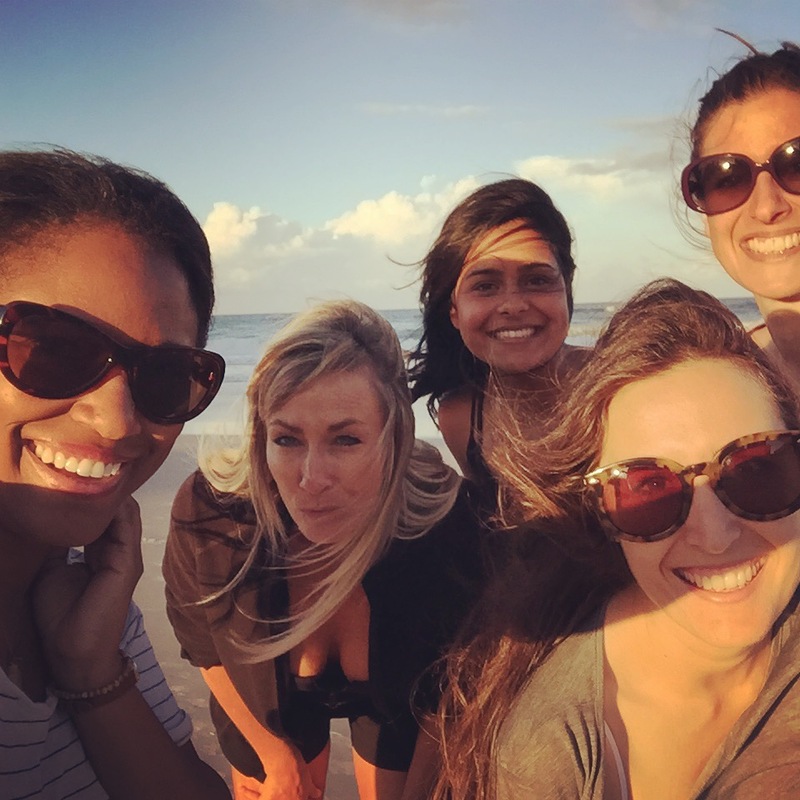 I’m Carla – biz coach, launch strategist and founder of Her Business Boutique. At this moment I’m either sitting in a coffeeshop creating something to help you (like this picture here), or I’m laughing over a meal with my besties here in LA or up late watching an episode of Dateline (don’tjudgeme – it’s a guilty pleasure). What kind of results have you or your clients experience? Can you find a way to work that into that first email? See how I did it in the example below. I love helping clients get big results using my launch strategies and marketing techniques – we’re talking 4, 5 and 6 figure launches and getting booked with dream clients. Headshots are awesome and all and you definitely need them for marketing your biz but why not show a snapshot of you in your every day life doing something with your fam, friends, dog or maybe you off on an adventure. So much more interesting and personal don’t ya think? Add in even more value to the new peeps and link to other free content you’ve created that they may not know about. What a way to wow and go above and beyond! Here’s what I added in to go with my Lifestyle & Business Calculator. You’ll have a much better idea of what kind of business model to create and how to properly price your services. map out your own 6 figure blueprint and this blog post on how to properly price your services. Specifically and precisely and in simple language. Or go here and join my new Facebook group. Now at the end of the email you’ll throw in a P.S. that includes the link to your freebie – the one they opted in for. You saved the best for last and gave them several touch points to connect and get to know you before they run off to look at their new free gift. I have my clients do this on the thank you page but why not add in another video in that first email. Again it doesn’t have to be professionally shot – it can be you on your iPhone walking down the street saying ello! So. What do you think? Is this not a big opportunity to really connect with your potential future clients and raving fans? I think so…Let me know your thoughts in the comments below. And if you found this post helpful, click the share button down there. SO many women need to make this change that I’d love to get the word out…plus everyone should know about Stranger Things. Ok, I love this and you are HILARIOOOOUS! Nice Upside Down graphic too.